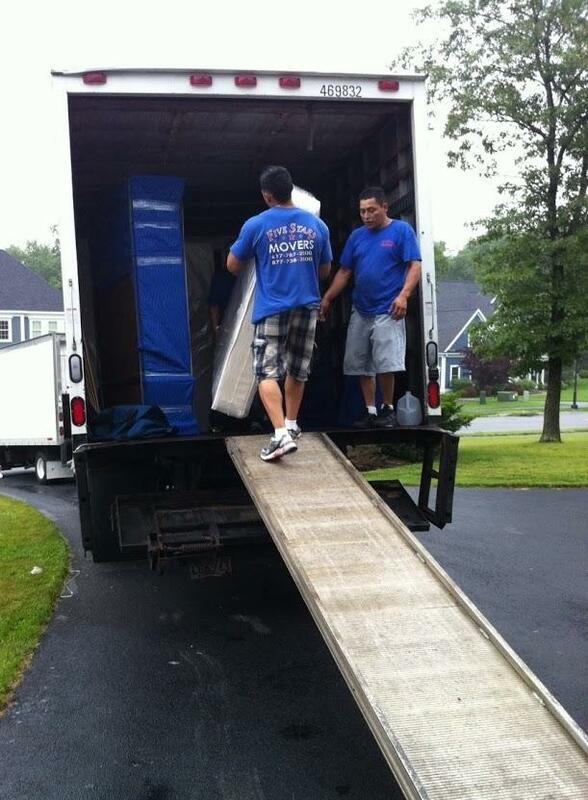 Moving to another state means opening an exciting new chapter in your life. 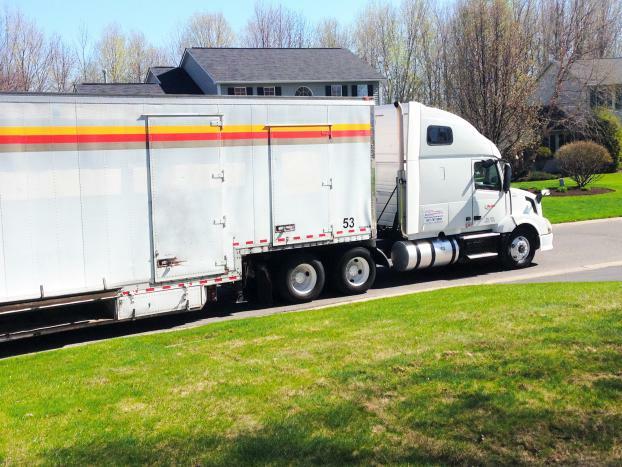 But preparing for a state-to-state move can be incredibly stressful. 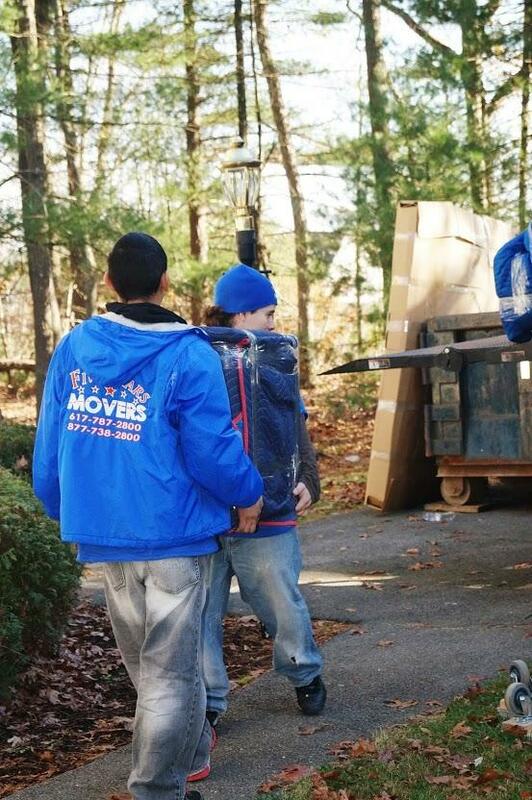 As your moving date approaches, you need to partner with a company you can trust to handle every detail with integrity and total professionalism. And that's precisely where we come in. 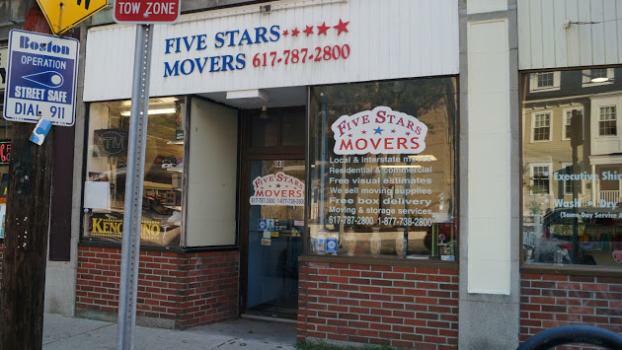 At Five Stars Movers in Boston, MA, we offer reliable and affordable interstate moving services designed to make your life easy and worry-free. At Five Stars Movers, we believe that communication is the key to a successful move. When you work with us, you can expect nothing less than attentive, personalized service from every member of our team. 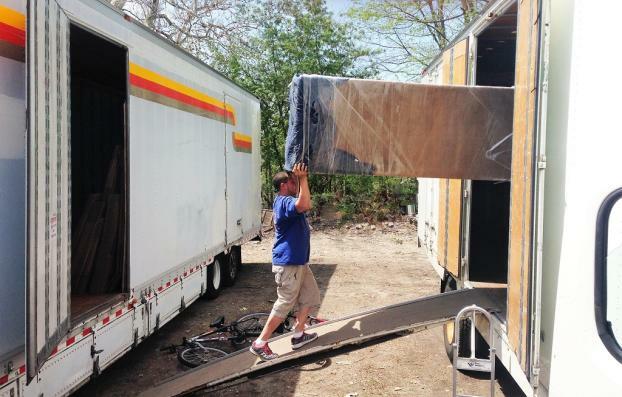 And because we know that preparing for a move can be daunting, we go the extra mile to create a hassle-free moving experience for each and every one of our customers. 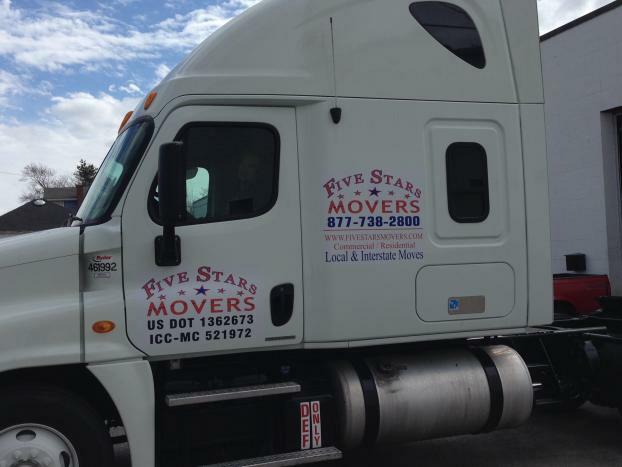 I have used Five Star Movers several times now. They are excellent! 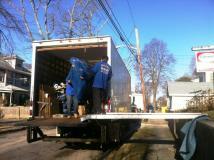 This time I am also using their storage services. 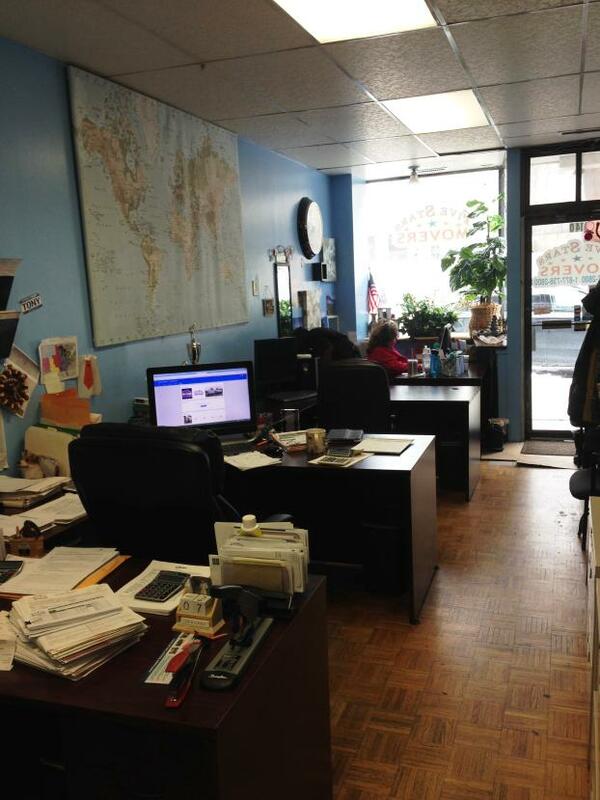 They are professional and courteous. I feel that their prices are fair and they are extremely efficient. I highly recommend them to anyone considering a move. 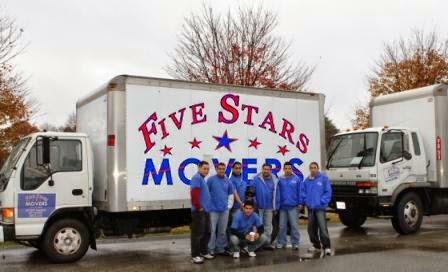 Thank you Five Stars for a amazing services, this is the third time move with you guys. 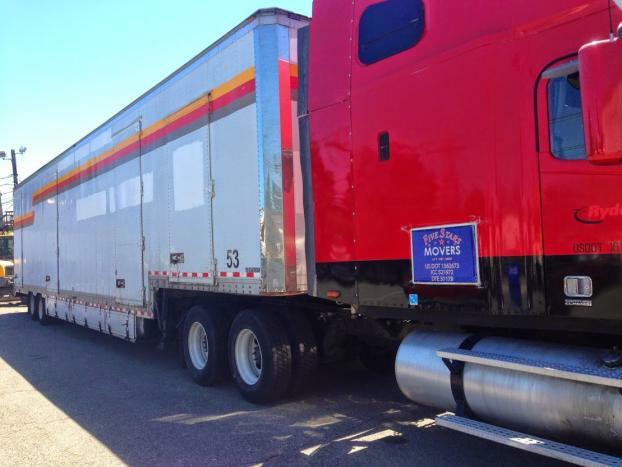 I appreciated for a excellent service on relocating me to the Bay Ares I couldn't ask for more right on time. I just wanted to said thank you for all. 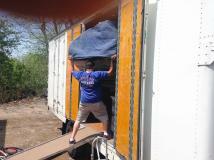 The movers were great picking up my freight, delivering it and setting it up. Would definitely recommend them! Sharon S.
My wife and I used Five Star Movers last month when we moved into our new home in Quincy. We were impressed by the prompt and efficient service provided by Fiver Star Movers. 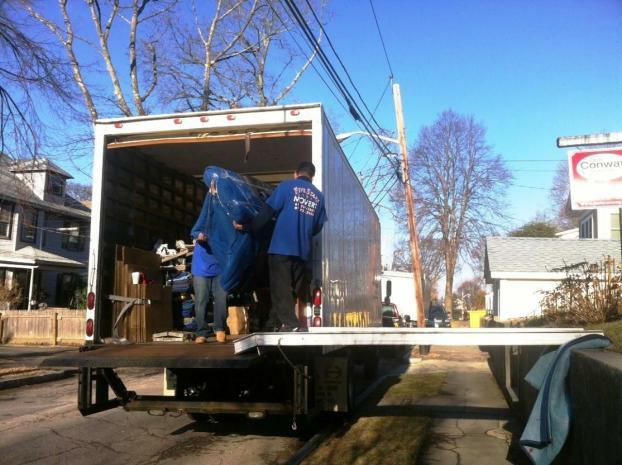 Within two hours, the movers had moved our belongings into our new place. 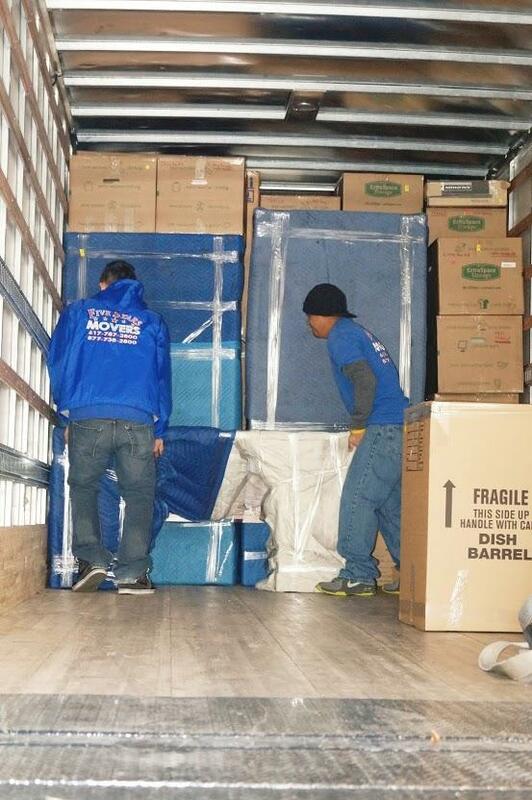 The movers were courteous and professional in our interactions with them. 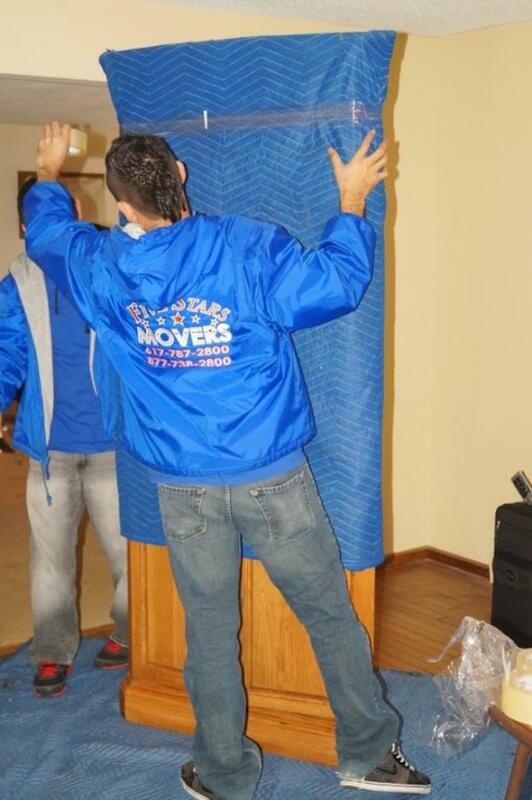 This was the second time we moved Five Star Movers. 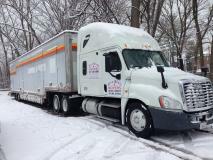 We used them for another move in 2012 and were impressed by the service. 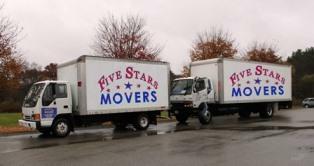 I highly recommend Five Star Movers to anybody who is thinking about moving in the near future. Guys were polite and professional. 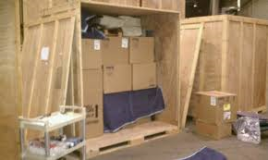 Showed up on time and were careful with my furniture. I would use them again. 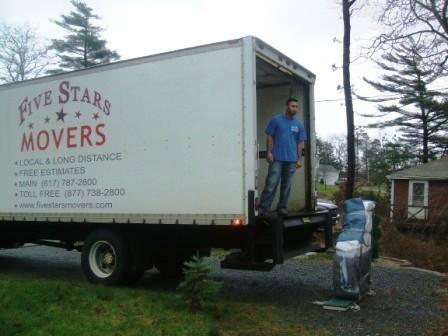 Well well I don't really like to write reviews but honestly this guys really deserve to have one from me...I did move form Lexington Ma to Monterey Ca and can't believe it first when I call the office and all the information they give me and on top of that they came to Our House to do a visual estimate to make sure I was getting the price they were saying..Day of the move 4 guys show up they took care of all my furniture and this guys work no stop for hours, they left and at the office Erika told me that my deliver was going to happen with in a week well the Driver call me Friday saying that he was going to deliver 2 days later that weekend, they show up and everything went so smoothly. The price was the same they told me when they did the estimate at Our House. 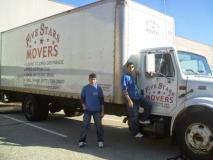 I recommend this Company to anyone who anyone who's looking for a moving company who know what they are doing. 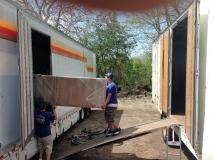 Thank you Five Stars Movers. 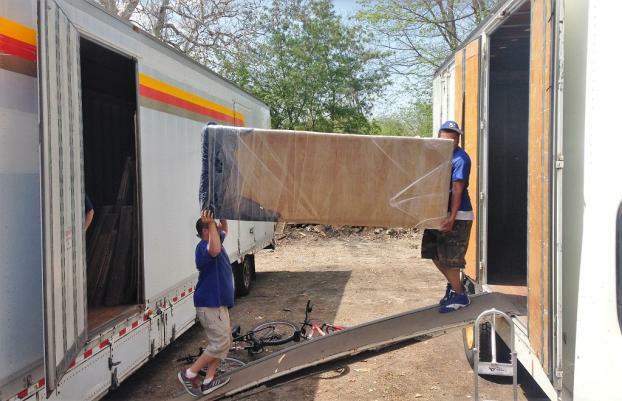 I did move couple Months ago and I call this Company, I was nervous as I never hire a moving company before so I decide to be lazy and have them move my 3 Bedroom House, I can not tell you how happy I'm with the service, everything went smoothly from the beginning. 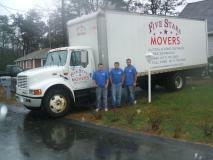 I highly recommend them to whoever need movers. Thanks...Very Professional, polite and punctual. I did Hire Five Stars Movers for my relocation from Newton to the Dedham Erika was really helpful with all my questions before and after I make my reservation, on my mover the crew show up right on time they were really polite, professional and most importantly they took care all my furniture. 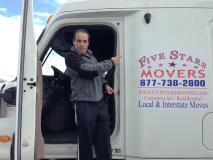 I definitely will recommend Five Stars Movers to any one in need of Moving Services. 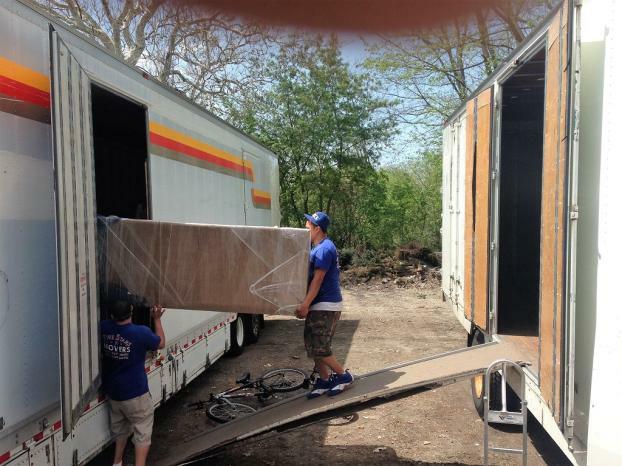 Thank you Five Stars Movers. © Five Stars Movers. All rights reserved.